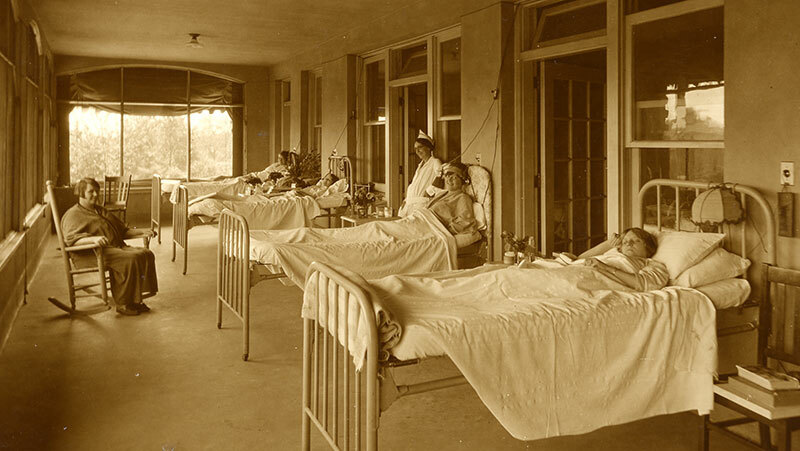 Our legacy began in 1870 as Florida's first nonmilitary hospital. Known then as Duval Hospital and Asylum, it became the cornerstone for the medical complex that is known today as UF Health Jacksonville. 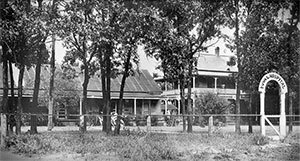 In 1901, Brewster Nursing School, which later became Methodist Medical Center (MMC), opened to care for victims of the great fire of Jacksonville. 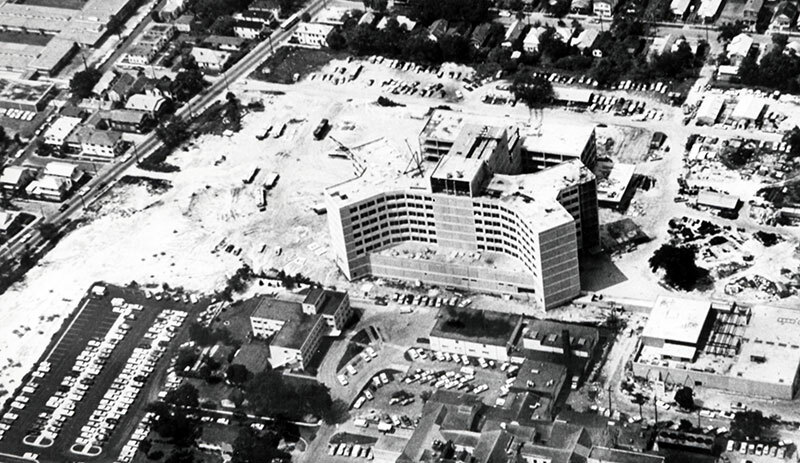 In 1971, University Hospital, a city-owned 485-bed medical facility, opened across the street from MMC. In 1982, University Hospital became University Medical Center (UMC), a private not-for-profit organization that contracted with the city of Jacksonville to operate the facility and provide care for the uninsured. 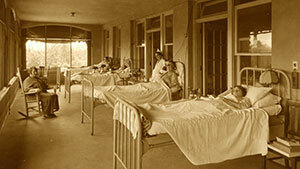 The next year, UMC opened the first Level I trauma center in Florida, complete with long-range air ambulance service. 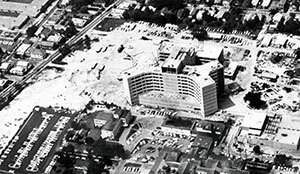 The Jacksonville Health Education Program based at UMC became an extension service of the University of Florida College of Medicine in 1969. UMC and the UF faculty programs were designated as an urban campus of the University of Florida in 1988, strengthening the educational relationship between the hospital, UF and the City of Jacksonville. 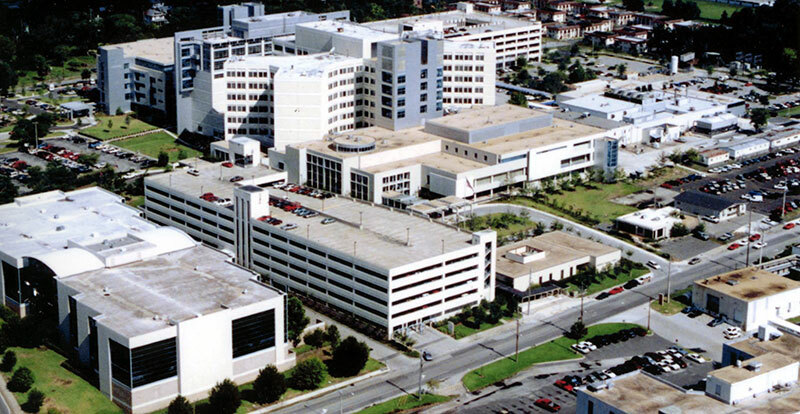 In 1999, UMC and MMC combined to become Shands Jacksonville, affiliated with the University of Florida and Gainesville, Fla.-based Shands HealthCare. In 2013 Shands Jacksonville became UF Health Jacksonville. 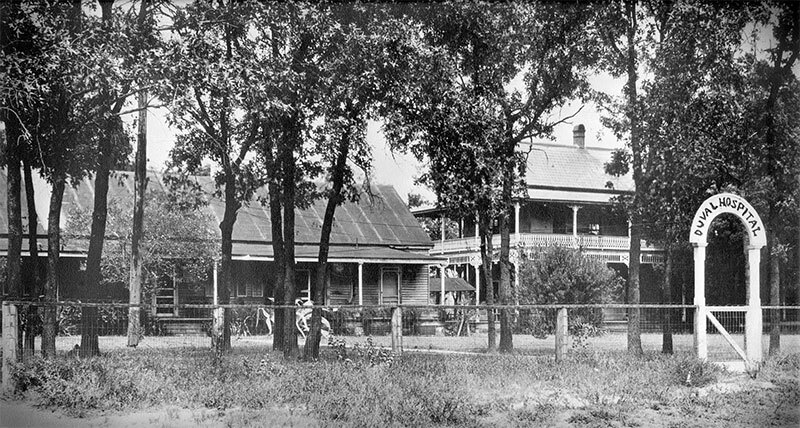 Jacksonville's first hospital and Florida's first non-military hospital, Duval Hospital and Asylum (later to become University Hospital) is established at the corner of Jessie St. and Franklin St.
George A. Brewster Hospital and School of Nurse Training (later to become Methodist Hospital) opens to care for victims of the Great Fire of Jacksonville. 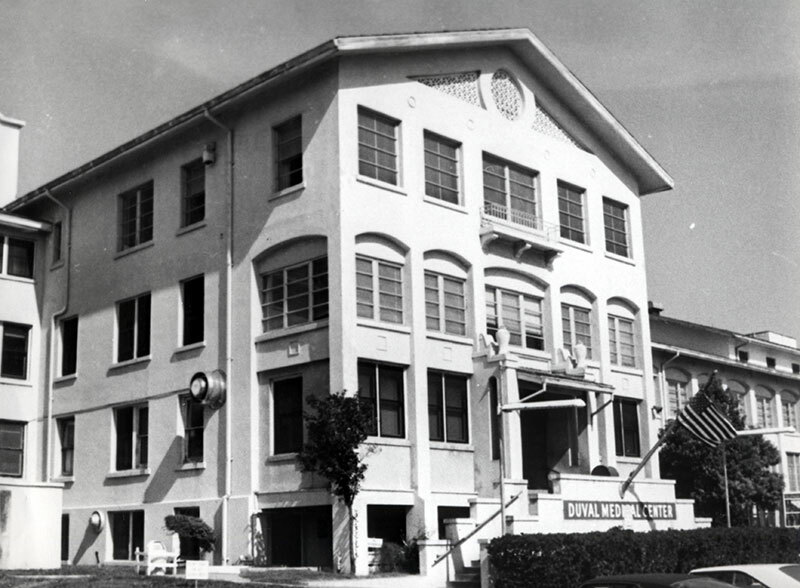 The Duval County Welfare Board takes control of Duval Hospital, which becomes a tuberculosis sanitarium on Jefferson St. The first residency program in the state opens at Duval Hospital. Duval Hospital is renamed Duval County Hospital. Duval County Hospital offers the first cancer program in Florida. The facility is renamed Duval Medical Center. First radiation oncology program in Jacksonville. First open heart surgery in Jacksonville. 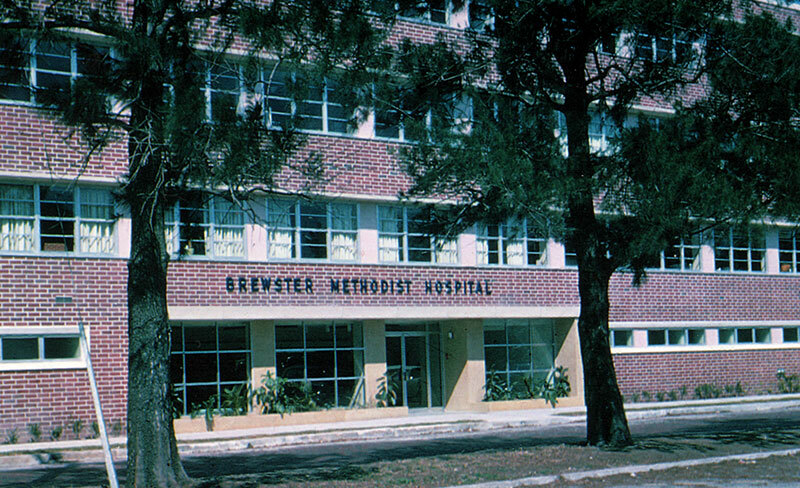 Brewster Hospital moves to Jefferson and Eighth St., and reopens as the not-for-profit Methodist Hospital. First pediatric cardiology program in the city. 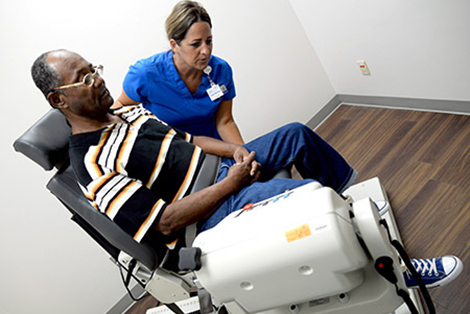 First hemodialysis unit for end-stage renal disease in Jacksonville. A new 485-bed facility opens as University Hospital of Jacksonville, across from Methodist Hospital. First gynecologic oncology program in Jacksonville. First neonatology program in Jacksonville. City's first Level III neonatal intensive care unit. First electronic microscope in Jacksonville. First comprehensive hospice program in Florida. University Hospital becomes a private, not-for-profit facility and contracts with the City of Jacksonville to provide indigent care. University Medical Center, Inc., assumes operation of the hospital. The hospital's trauma center is the first in the state to be granted Level I status. City's first hospital-affiliated primary care center. First pediatric sickle cell program in north Florida. 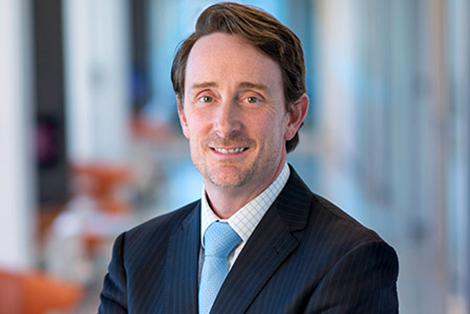 University Hospital is designated an affiliate of the University of Florida, strengthening the educational relationship of the two entities and establishing the UF Health Science Center Jacksonville. University Hospital is designated the metropolitan campus for the Gainesville-based UF Health Science Center. All physician faculty based in Jacksonville become UF faculty. University Hospital is renamed University Medical Center. First kidney transplant in Northeast Florida. Methodist Hospital is renamed Methodist Medical Center. The UF Southside Specialty Care Center, the first UF community-based multi-specialty practice, opened in Jacksonville. First heart transplant in Northeast Florida. University Medical Center and Methodist Medical Center merge, becoming Shands Jacksonville Medical Center, an affiliate of the University of Florida and Shands HealthCare. University of Florida opens the UF Proton Therapy Institute on the Shands Jacksonville campus, the first proton beam therapy facility in the Southeast. First hospital in the Southeast with VeinViewer technology. Shands Jacksonville Advanced Breast Imaging Center is the first in the region to offer 3-D breast ultrasound. 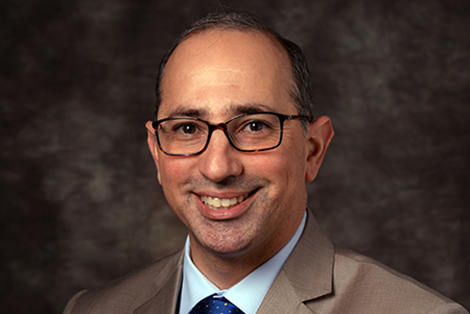 UF surgeons at Shands Jacksonville are the first in the region to perform gastric imbrication, a surgical weight loss procedure with no cutting, stapling or removing stomach tissue and does not require a medical implant. The Shands Jacksonville Breast Health Center is the first imaging center in North Florida to offer 3-D digital breast tomography. Shands Jacksonville Medical Center is renamed UF Health Jacksonville. UF Health Jacksonville begins construction of a medical office complex in North Jacksonville near the intersection of I-95 and Max Leggett Parkway called UF Health North. The Florida Agency for Health Care Administration approves the construction an inpatient hospital at UF Health North. UF Health North opens. The six-story, 210,000-square-foot outpatient medical complex in North Jacksonville includes a 28-bed emergency room, advanced imaging, a midwife-led birth center, rehabilitation services and more than 20 specialty services provided by UF and community physicians. The 92-bed hospital building opens at UF Health North. Patients can now stay overnight and undergo inpatient procedures. This addition makes UF Health North the only full-service hospital in North Jacksonville.